Keep it sweet and simple this season with this killer crop. 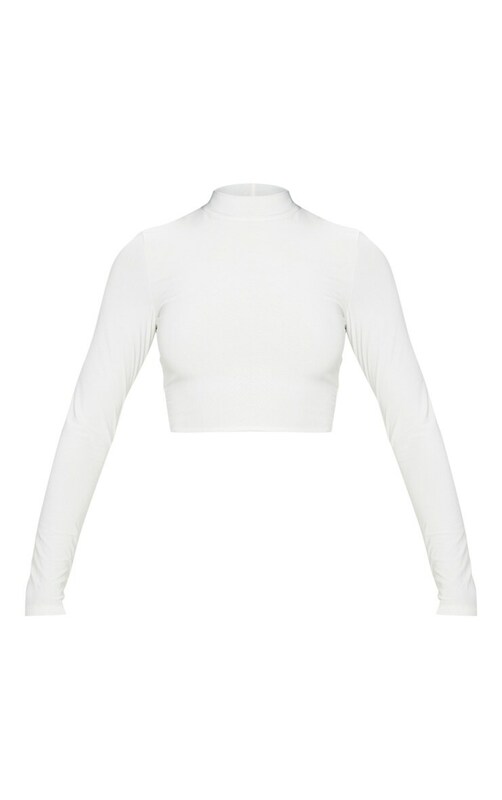 Featuring a cream slinky fabric with a high neck, long sleeves and cropped length, what's not to love? Style with cream flared trousers and add a pop of colour with a neon bum bag.